Bayer 04 Leverkusen face an uphill challenge when they face Atletico Madrid in the Estadio Vicente Calderon on Wednesday in the second leg of their UEFA Champions League last-16 tie. 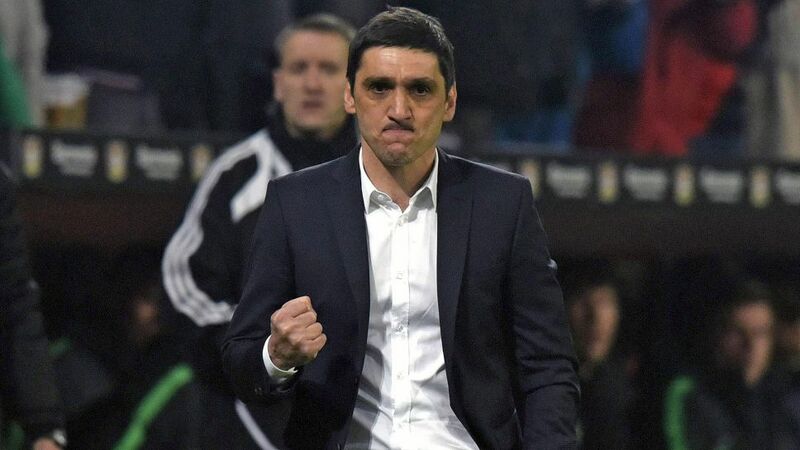 However, new Leverkusen boss Tayfun Korkut has stressed that the tie is not over and wants his side to believe in themselves. Leverkusen are travelling with a slightly depleted squad for this tie. Ömer Toprak, Jonathan Tah, Stefan Kießling and Lars Bender are all injured. Benjamin Henrichs is suspended, while 17-year-old Kai Havertz has important exams. One player who has travelled, but you may not recognise with a new 'streamline' look is Mexican forward Javier 'Chicharito' Hernandez. The striker has kept his word after losing a Super Bowl bet and has shaved his head. Already known for his goal scoring and pace, the 28-year-old may be even quicker now without the added air resistance.